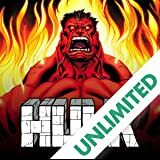 Hulk Vol. 1: Banner D.O.A. 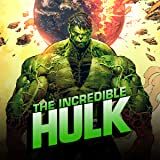 It's an all-new direction for the Hulk! 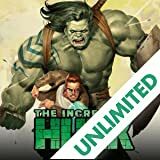 Following the shocking events of the Indestructible Hulk finale, Bruce Banner lies at death's door, shot in the head by an unknown assailant. If he survives, it won't be as the Bruce Banner we've known! Only the Hulk can save Banner...if he even wants to! 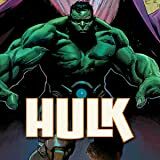 How will the Hulk wreak vengeance on Banner's attacker? How can he? As a new threat enters the scene, Banner goes to a dark place, and he could drag the Avengers right along with him! 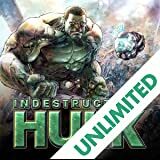 To stop the Hulk from destroying the Avengers, a dangerous plan is put into play. 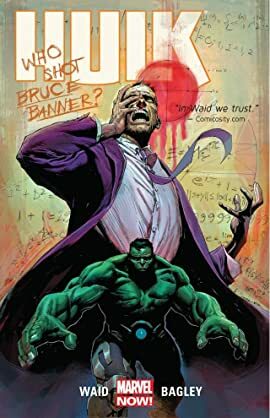 What forbidden knowledge will Tony Stark use in an attempt to cure Bruce Banner's brain damage? And even if the cure works, what will it cost?